"The mudcake forms as a filtrate, similar to ground coffee in a French press, at the interface between the well and the rock," says Liu. "Most existing mudcake models assume a sudden change between the slurry and cake phases, which is not representative," explains Liu. "Instead, we used equations that capture the gradual transition between void ratio, permeability and effective stresses to create a model that properly represents the evolution from mud slurry to mudcake." "We also found that the total force acting on the pipe increases with time," says Liu. "Therefore, our primary advice to avoid stuck pipes is to minimize time spent at a standstill. 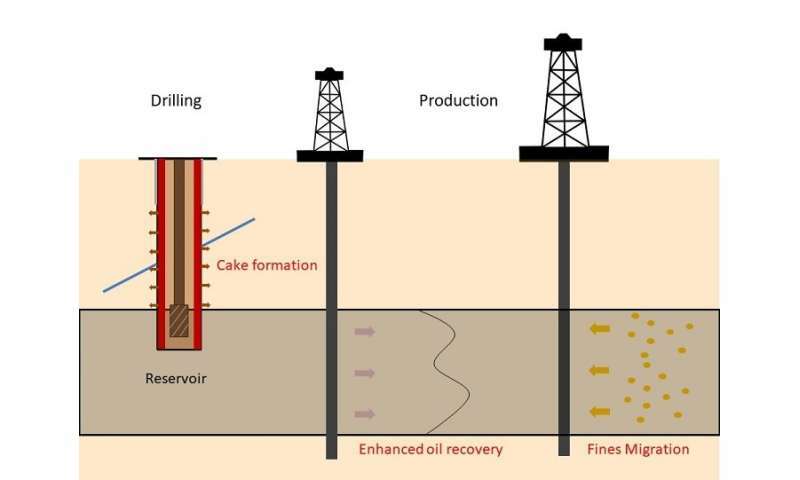 Drilling companies must also optimize mud design by taking complex downhole conditions into consideration."